Following the eggcitement of last week I am been taking it a bit easier this weekend preparing for some portable operation in Scotland. I have made a linked dipole inspired by the ones sold by SOTAbeams, it is a simple inverted vee supported by a 9 meter fishing pole the wire elements are made of sections which are joined together depending on the band required. 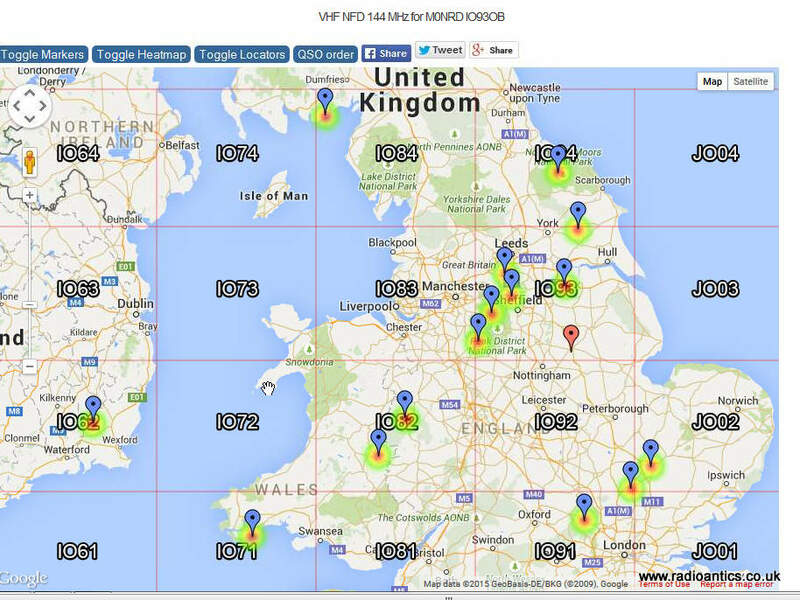 I have made a two band version, 20m/40m and it tuned nicely using the analyser. As a backup I have also revisited the “Magitenna” which disappointed last time I tried to used it. Firstly I replaced the original wire which was too heavy for the low power I run and is very prone to kinking. While doing this I discovered that the terminal post on “the special matching unit” was simply turning when I tried to tighten the wing nut. This pointed to a broken or at best poor internal connection and I was forced to open up plastic box to make a repair, sadly “forced” was the operative word. One of the four screws was inexplicably super-glued in place and being cack-handed I soon ruined the head trying to remove it and had to drill it out. Once the screws were removed I then found the lid too was glued in place at several points and had to prise the lid off trying to minimise any damage in the process. 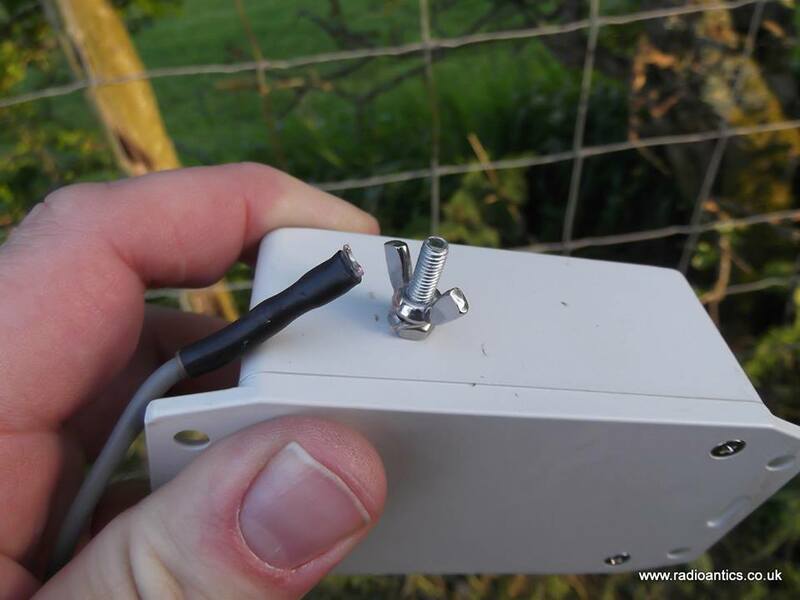 Given that nearly all other ham equipment I own is designed to be serviceable, including rigs worth several hundred pounds I found this annoying and unnecessary for a simple antenna, especially as the ethos is for amateurs to experiment and modify things. It certainly wasn’t glued for weatherproofing as it would be have sealed all round, it could only have been to stop it being opened. I could understand this if it were protecting some patented, copyright design but it wasn’t, behold the magic within the “special matching unit” nothing but a simple un-un which I suspected already. Anyway I was able to tighten up the simple screw and bolt and ironically I used some epoxy resin on the screw head to try to stop it coming loose again. Hopefully this loose terminal was the reason for the poor performance last time. I have just returned from our traditional June caravanning holiday in the Lake District, last year I was buoyed with enthusiasm to have a go at some more portable operation after operating for the first time from the camp site during the 2m UKAC Contest with some encouraging results. 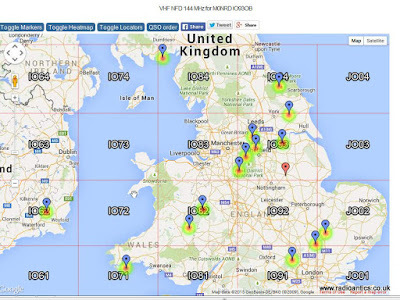 Indeed during the last twelve months I have done some more portable operating, but while VHF/UHF have been rewarding HF portable has been a mixed bag with at best satisfactory results, but then the same can be said of operating HF from home. 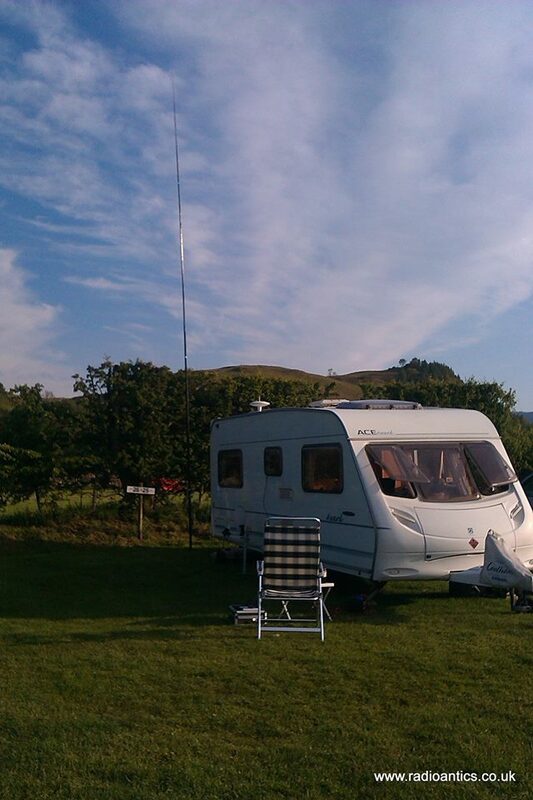 This year I planned to again operate in the 2m UKAC Contest but rather than working from the comfort of the caravan I was going to work from some higher ground near the camp site. Unfortunately the weather was awful with very strong winds gusting upward of 50mph and driving rain, even working from the caravan was a no go. … this was the how I spent the evening and as you can see Eddie was equally impressed. 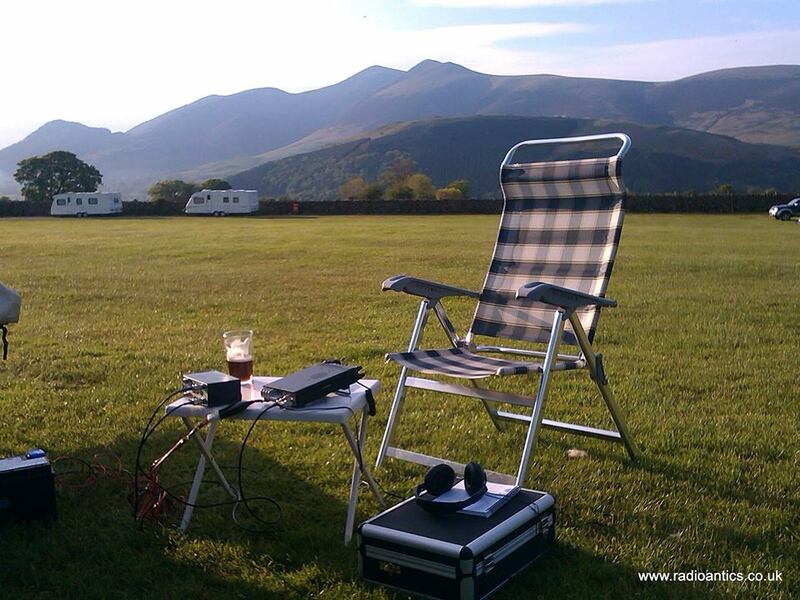 When the wind and rain subsided toward the end of the week we did have some nice weather so I decided to try some HF. I had taken just the M0CVO Magitenna end-fed wire and using a 9m fibreglass pole I tried operating with it as a vertical and as a sloper both with and without counterpoises and despite receiving some very big S9+ signals on a number of bands seemed to be incapable of making myself heard, I did make a number of contacts but many reported weak signals and stood little chance of working many of the special event station pile-ups. It wasn’t helped that on the first day the radiating element connector broke, which necessitated cutting it off and stripping back the wire. I suppose in retrospect I should have been expected it as there is no strain relief on this wire, unlike the loops on the other antennas in the M0CVO range, I rectified this with a few cable ties. 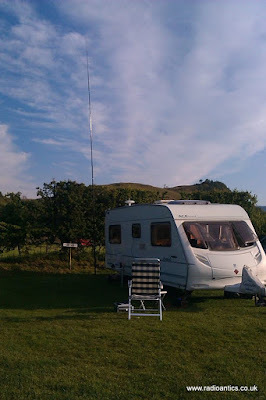 I was running the Yaesu FT857-D from a leisure battery and around 30W as I didn’t wish to interfere with the TV reception as I knew most caravans would be using wide-band antenna amplifiers because of the poor coverage. Indeed the one time I did wind the power up to 100W one caravan mains breaker tripped out, it may have been coincidence but I didn’t wish to put it to the test. 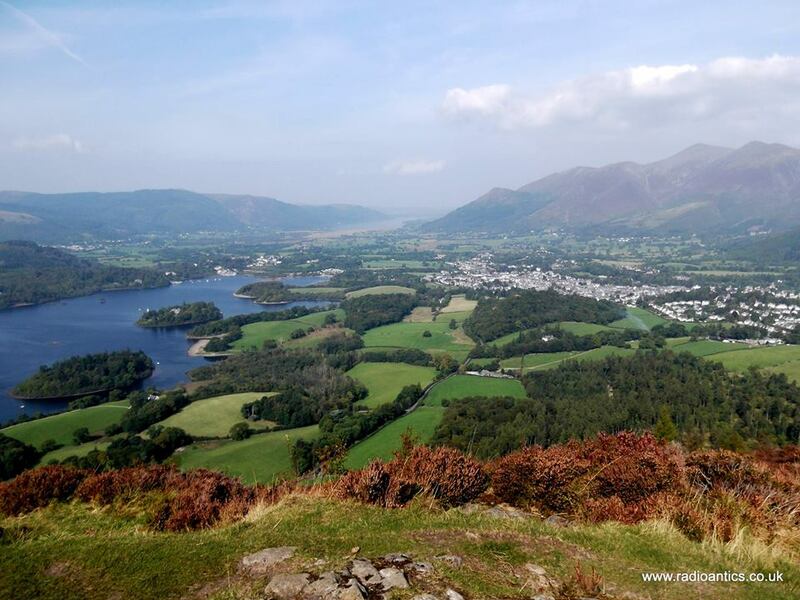 It was frustrating from a contact point of view and I willingly accept I could be a bad workman so don’t wish to blame my tools but I think some serious rethinking on a portable HF antenna is needed. I am away to Scotland next month for a week on the Isle of Skye and a week on Islay, this time in rented cottages and am hoping to make a QSO with the South Kesteven ARS on the club night. Anyway that all has to wait as the launch of Eggsplorer-1 HAB and the GB2EGG Special Event Station are rapidly approaching.